The Frioul Archipelago is the name for the two islands – Tiboulen de Ratonneau and Pomegues, linked by a causeway extending out of Frioul Harbor. They are just off the coast of Marseille’s old port, but seem a world away from the busy, overrun, massive city – – – desert-like islands surrounded by clear, tropical seas. The islands have not always been a natural paradise. In the 17th century they were a quarantine area for ships arriving from Africa or the East. Later on, they served as military lookouts for invaders, and host a number of historic military forts, trenches, and signal towers. 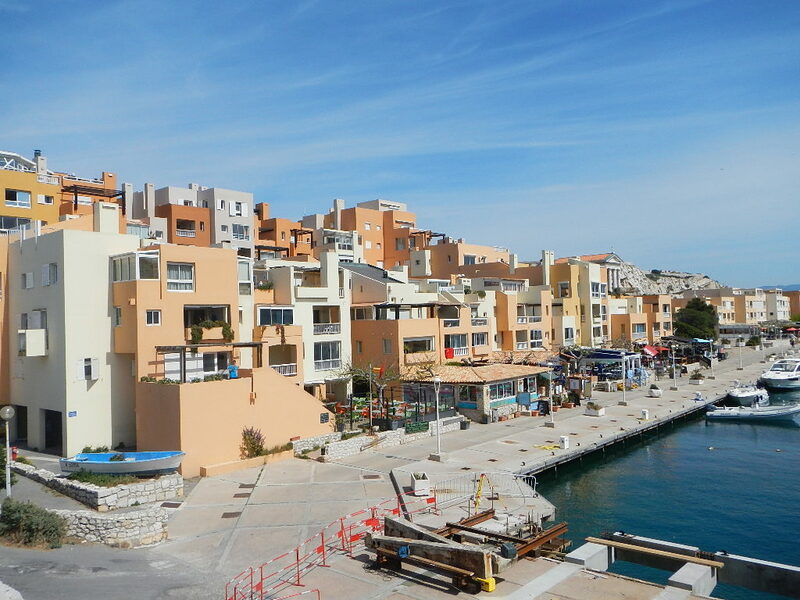 In 1970, the City of Marseille purchased a large portion of the islands, and built a small village and marina around the harbor. 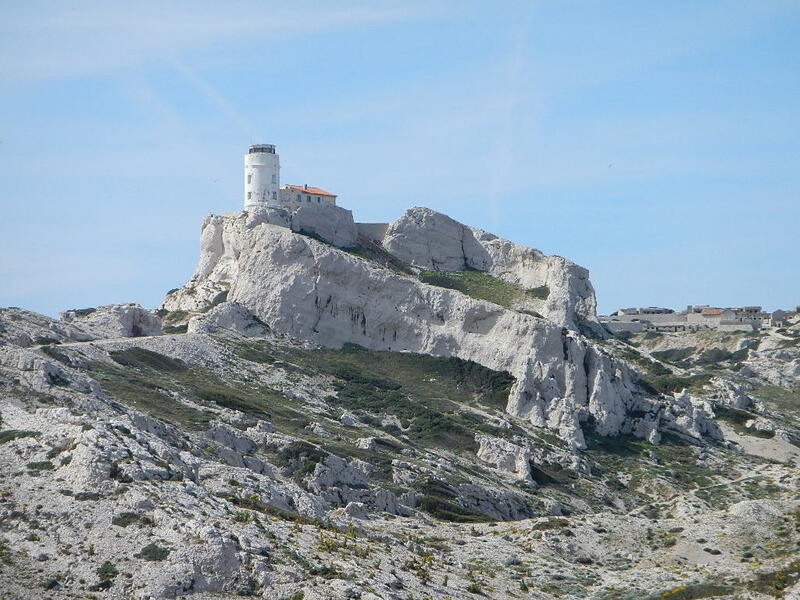 This cookie cutter development is somewhat unfortunate, because in 2012 the natural portions of the islands were included in France’s 10th National Park – Calanques. But the overpriced restaurants are a handy place to stop and get a cold drink while waiting for the boat ride back into town. Calanques is the name for small gullies eroded out of limestone from small creeks that tumble down the hillside and enter the sea. 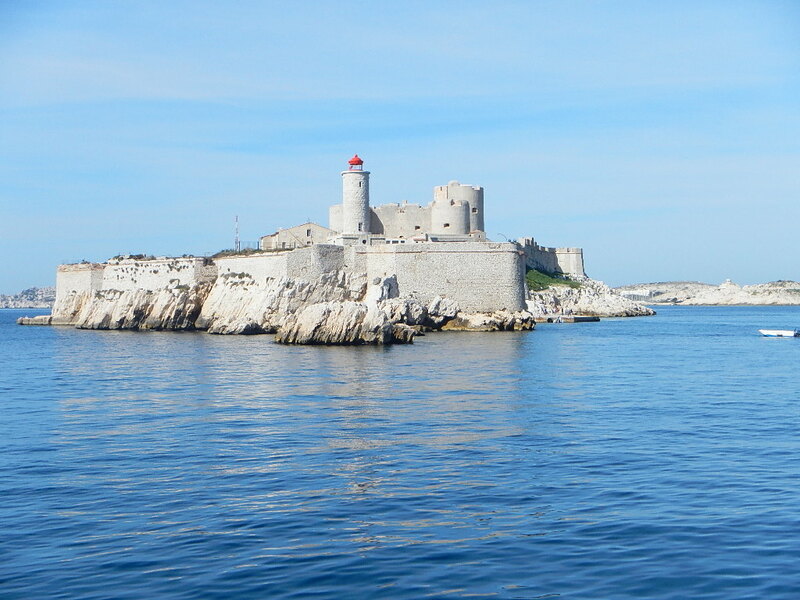 They are found mainly in the area between Marseille and Cassis, although there are some on Corsica. On the way to the islands, the small ferry stopped first at the island of If. If you’ve ever read the Count of Monte Cristol, If housed the prison (Chateau If) where the Count was imprisoned. The Frioul Archipelage was beautiful. There are no cars, and we hiked along the old road that ran along the spine of Pomegues, barely seeing a soul. 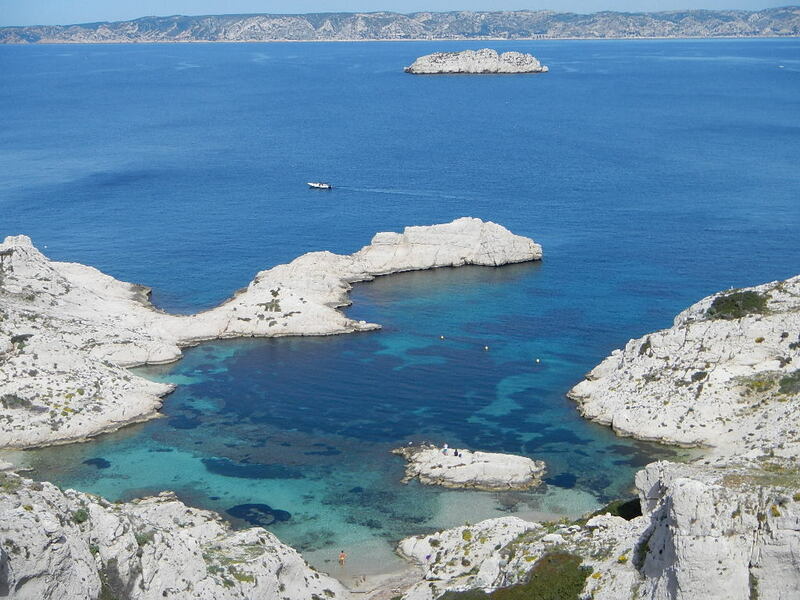 Along the way were several smaller calanques, each small gully ending in a clear blue-green patch of sea. One of the unique things about calanques is they were eroded while sea level was much lower (during the ice age) and some of them contain underwater caves with cave painting. 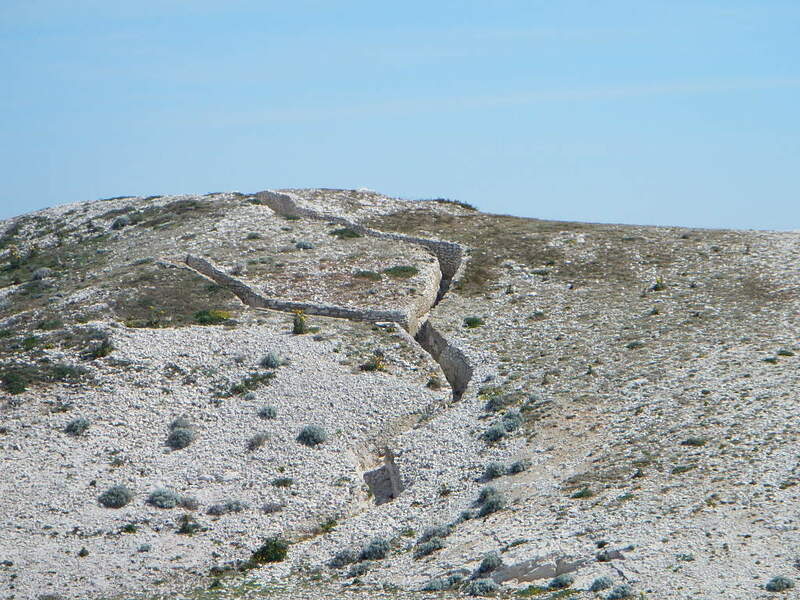 The island was dry and desert like – a big difference from the mainland. The guidebook said that there was a large variety of remarkable birds that could only be seen on the islands. Unfortunately the gulls seemed to dominate. They seemed very upset when we walked up a not often used path – probably through their breeding grounds. I felt like we were in a Hitchcock movie; you could tell they were keeping a careful eye on us. Marseille is trying to be tourist-friendly, but it’s still an industrial town with a small city center and one large Cathedral. The calanques were the perfect antidote. about the sites you are visiting! I cannot believe the depth of your trip!